6. On the next page, you will be able to add more WordPress websites or press Continue to proceed. After pressing the ‘Continue’ button, you will be redirected to the website management page. 7. To set up JetPack you will need to enter your email address that is used for your account at wordpress.com (it is required for a JetPack). 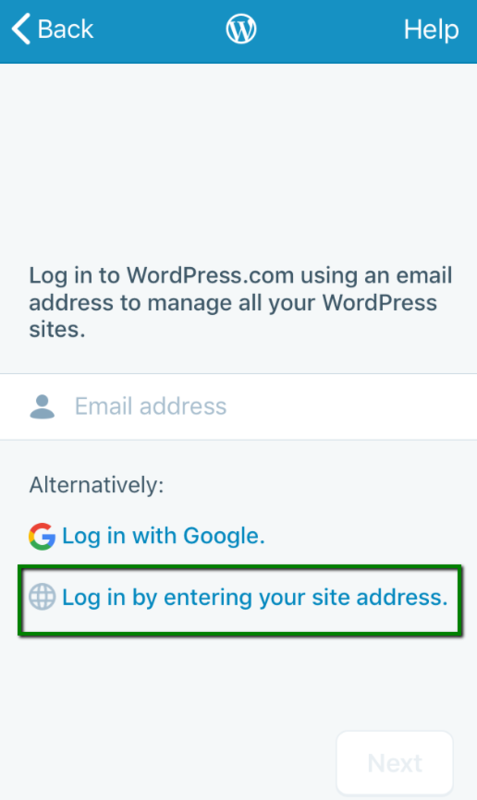 If you don’t have an account at wordpress.com, create one prior to setting up JetPack. 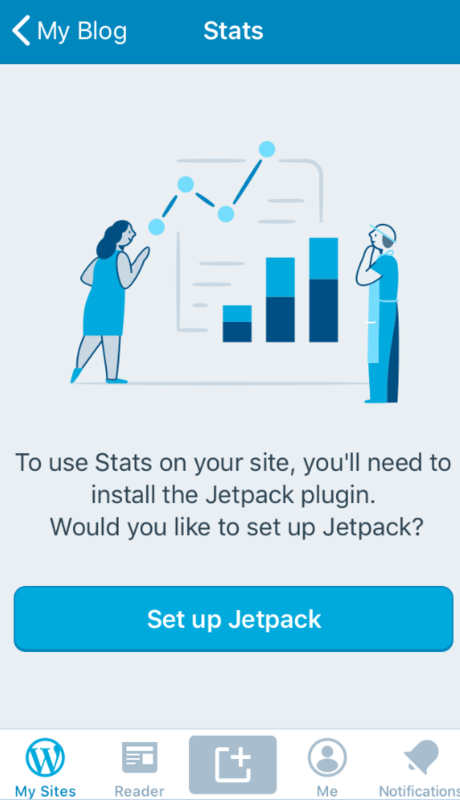 Once JetPack is set up, you will be able to check different statistics for your website, such as Latest Posts Summary, Daily stats, Posting Activity and other. view or move pages either to Draft or Trash by pressing a “…” sign. 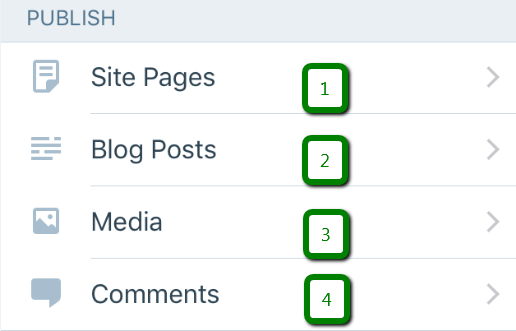 Blog Posts menu allows you to do the same things as in the Site Pages menu but with your posts. upload a photo from other Apps (for example from iCloud). Themes menu allows to Customize, check Details and upload themes you have. Additionally, you will be able to install new themes. That can be done by pressing the “…” sign. 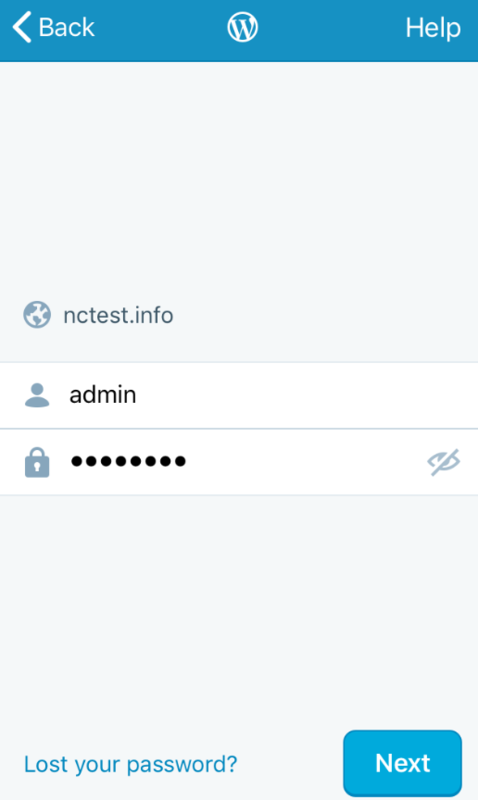 With the Try & Customize option you can ‘play around’ with the theme, test it out to see how it will look like on the website and activate it right away by pressing the corresponding button. Activate option activates a theme. View can be used to preview the theme. Details to check theme details. Support is where you can contact the theme support. 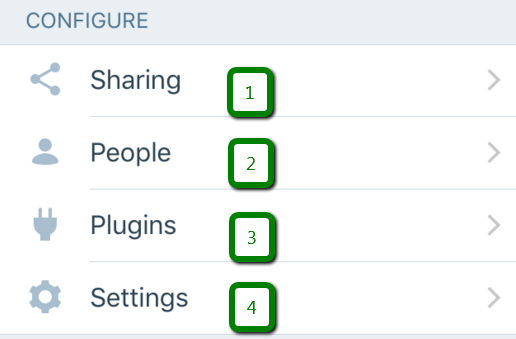 create new users on a website by pressing the ‘+’ button which is located in the People menu. – adjust JetPack settings if you have it installed. 11. 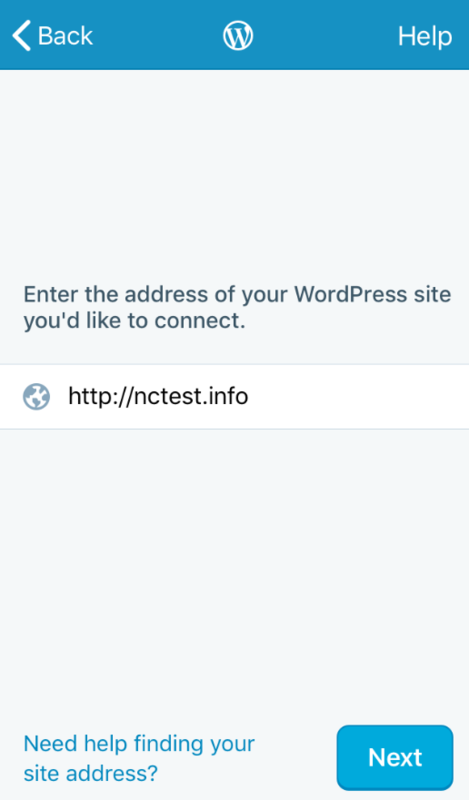 In the External part, you can check your website and log in to the actual wp-admin account via a browser on your phone by pressing the corresponding button. 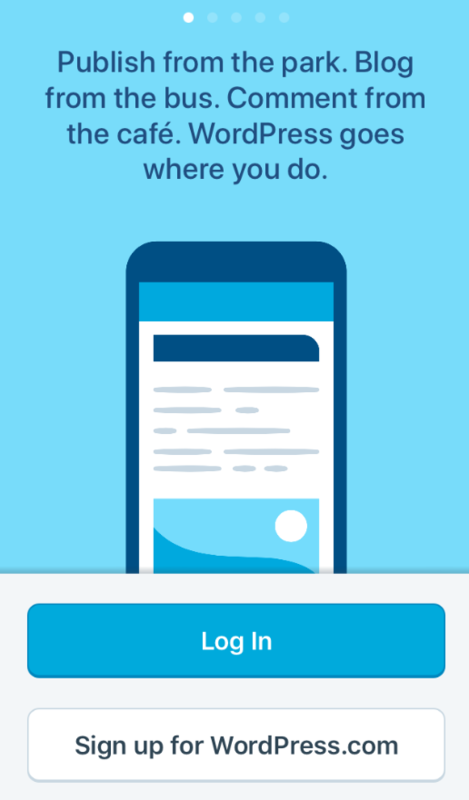 The last option ‘Remove Site’ will remove it from the WordPress App on your phone, the website itself will remain untouched. My Sites. An option that allows you to manage your WordPress websites using this application. 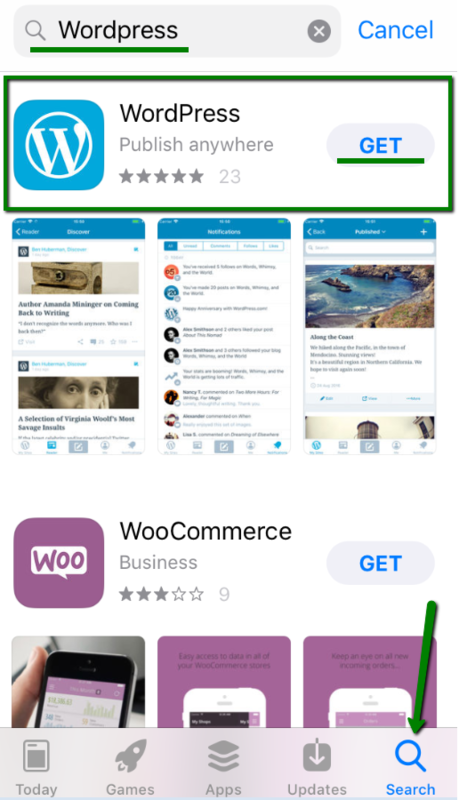 If you have more sites added to the app, you will be able to switch between them by pressing the websites’ buttons. Reader. By pressing it, you will be able to read some random WordPress articles created by other users. Publish post button allows publishing your posts. In Me menu you can change your profile settings and application settings. 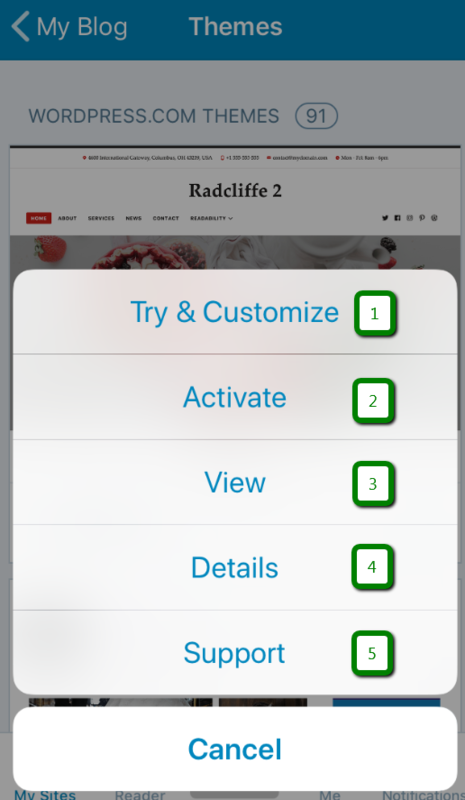 Notifications menu allows you to set up notifications that would be sent to your phone from your website.